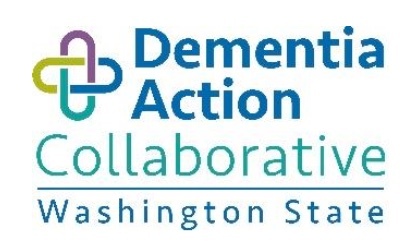 In 2016, our project team reviewed dementia-friendly programs and initiatives around the world, and created a fact sheet highlighting the key elements of dementia-friendly communities for Washington State. This year, we are working to distribute this fact sheet, while exploring statewide interest in networking and resource-sharing around the topic of dementia-friendly programs and initiatives. We want to make sure people with dementia in Washington State, and their loved ones, are empowered to fully participate in their communities. And we need your help! Read on for easy ways to get involved. Read the attached fact sheets (there is a short version, and a long version with real-life examples). Share the fact sheets to anyone you know who might be interested in learning more about dementia-friendly communities—your friends, family members, neighbors, colleagues, partner organizations, coalitions, etc. Respond to this brief 5-question survey, sharing what you’re interested in, and the best way for you to connect with others. Deadline for response is Wednesday, May 30, 2017.